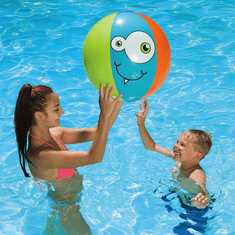 This impact-activated inflatable beach ball is perfect for an evening at the pool, in the backyard, or at the beach. 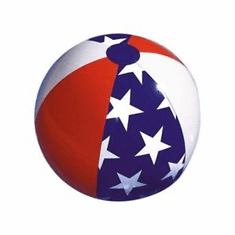 The red, white, and blue star design doubles as a festive - and affordable - pool party decoration. 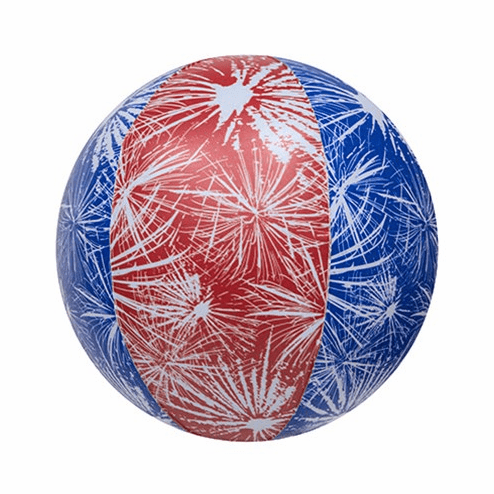 Lights up on impact, flashing red, blue and green.